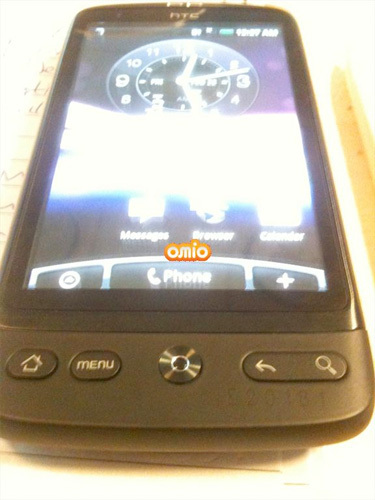 A leaked picture of the alleged HTC Bravo surfaced. That means that the HTC Roadmap 2010 that was leaked last month is quite accurate. By the look of this very poor lighting and resolution picture, it seems that HTC has followed the footsteps of BlackBerry to ditch away the trackball and replaced with a optical sensor. BTW, It looks similar to Nexus One.